Partage supports people in need by supplying vital commodities to charities and social services. The various services and benefits offered by Partage enable its representatives to be trained up and their employability to be improved, thus benefiting their professional rehabilitation. 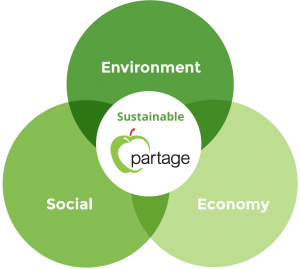 Partage limits negative impact on the environment by gathering the surplus from Geneva-based food companies, by rationalising its management of surplus and focusing on environmentally-friendly methods of transport.